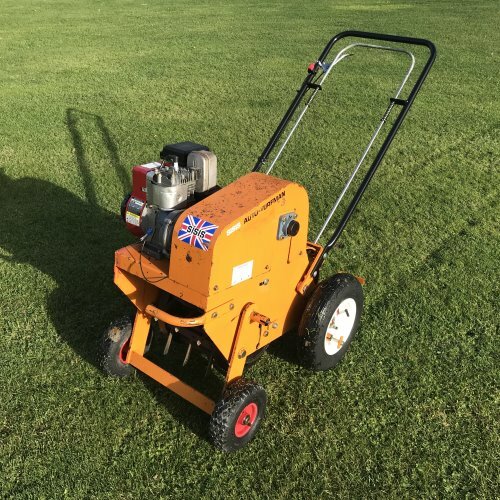 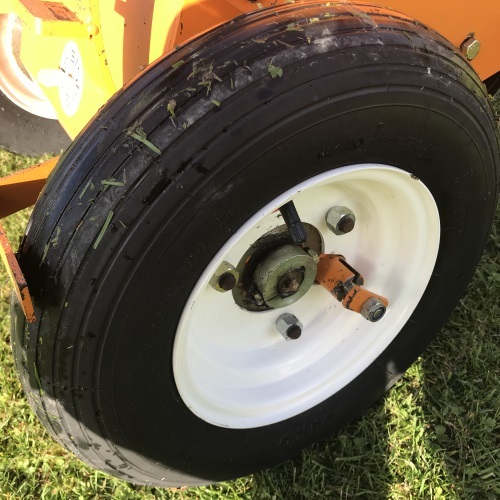 Independently powered heavy duty aerator for sportsfield maintenance, grass lawns and amenities. 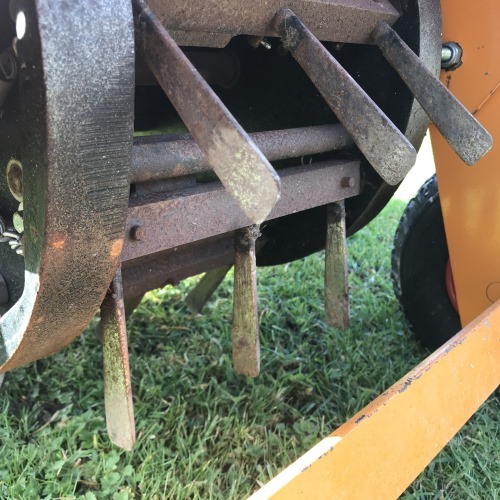 Fitted with Solid Chisel Tines (Choice of Interchangeable Hollow and Solid Tines Available). 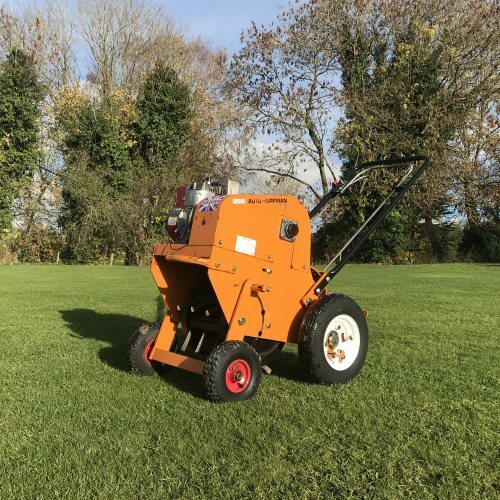 Aeration is important for improving drainage, reducing turf compacting, thatch build up and improving the health of lawns. 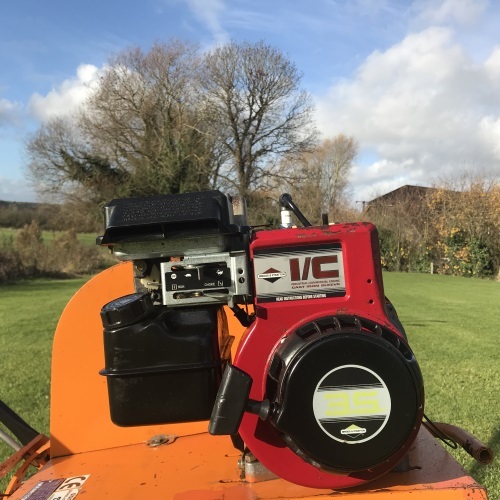 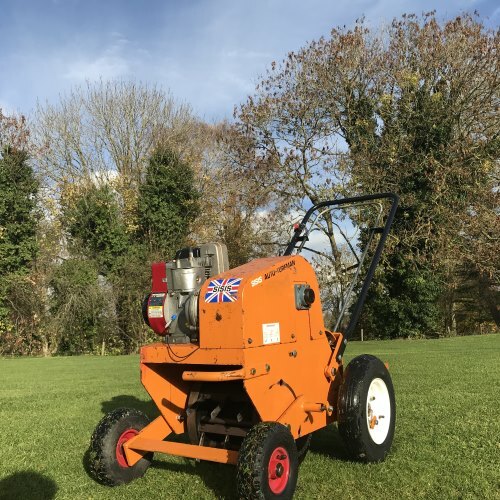 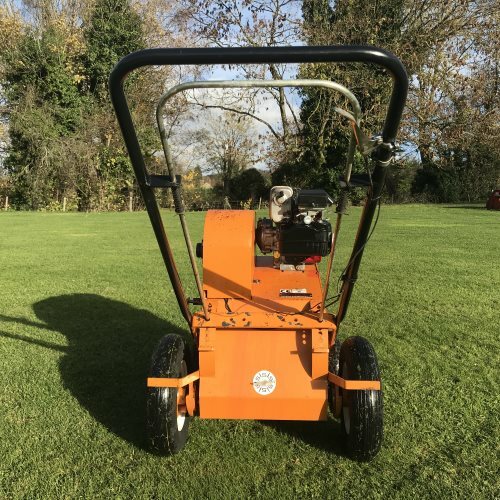 This Sisis Auto Turfman has been fully serviced and tested ready for use.